James Monroe Iglehart and Capathia Jenkins at The New York Pops' "Heart and Soul"
After a year away, I was so excited to return to Carnegie Hall for The New York Pops latest concert entitled Heart and Soul, featuring Broadway's Capathia Jenkins & Tony Award winner James Monroe Iglehart along with Crystal Monee Hall, Michael McElroy & Anastasia Talley! What a concert to attend! The evening was a tribute to the most influential musical genre of all time, R&B. This show was quite a departure from the usual Pops' concert, but what a terrific step they took! 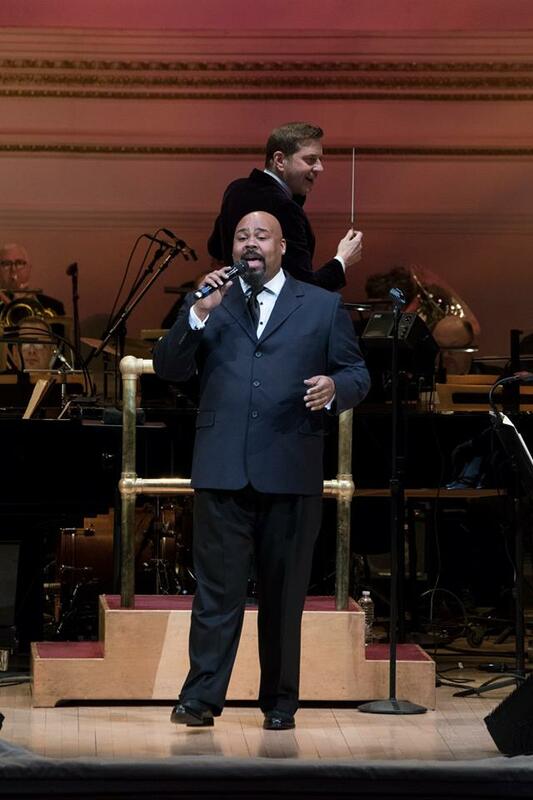 In addition to featuring two of the greatest voices out there (Capathia Jenkins & James Monroe Iglehart), The Pops orchestra, triumphed with this music. 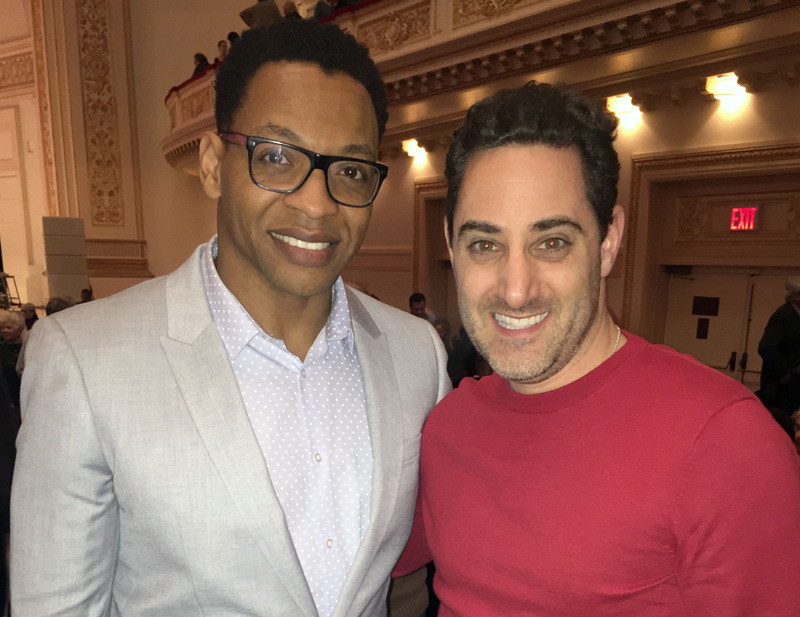 A true testament to the talent that is their maestro Steven Reineke. It was an evening full power ballads and rockin' tunes! Capathia & James' vocals blended so sweetly together. They really know how to make beautiful music! After every song the audience cheered & applauded so much, I thought the roof was going to cave in...hahaha. The night was filled with music from Michael Jackson, Whitney Houston, Diana Ross, Otis Redding, Stevie Wonder, and so many other renowned artists. Every song was delightful! Every note was sung with such enthusiasm! From "Let's Stay Together" to "Sir Duke" to "Rock With You" to Whitney's version of Dolly Parton's "I Will Always Love You," James & Capathia made these songs their own. 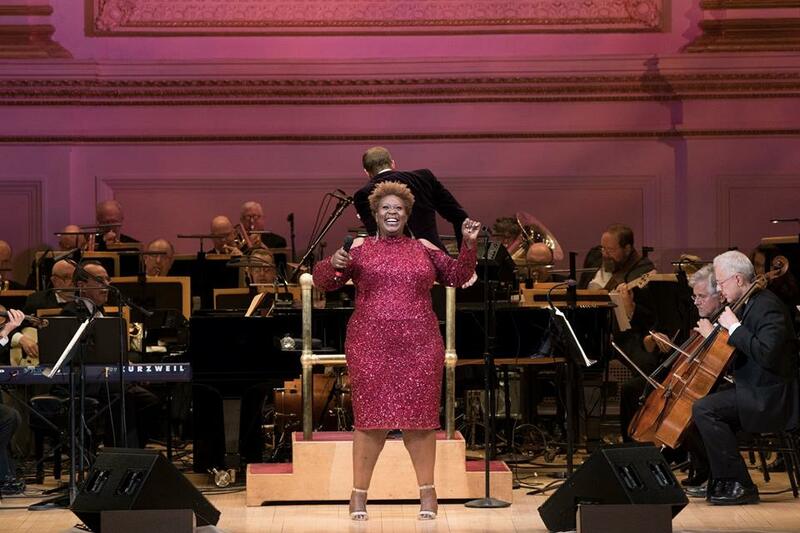 This was such a beautiful evening that I hope The New York Pops do another evening of R&B music! After this concert, The New York Pops definitely earned my "R-E-S-P-E-C-T" even more! Their next concert will be on March 9 with The Best of Hollywood: Blockbuster Film Scores and then on April 30, The New York Pops will have their 35th Birthday Gala, celebrating the songs of Alan Menken. Click here for tickets!